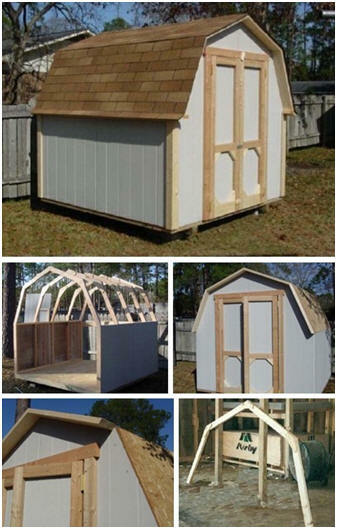 Build your own shed or mini-barn with concise plans, material lists and illustrated step-by-step instructions from a shed building pro. All sixteen of Fred Strickland's Barn-Style Shed plans, with their material lists and building guides, are included in the Building Plans 101 collection. That set also includes dozens of other construction plans for all types of sheds, small barns, workshops and garages, as well as Fred's nineteen, do-it-yourself gable roof shed plans.